(March 12, 2018) - The Cape Coral Police Department conducted a traffic saturation operation last week from March 5th until the 9th. 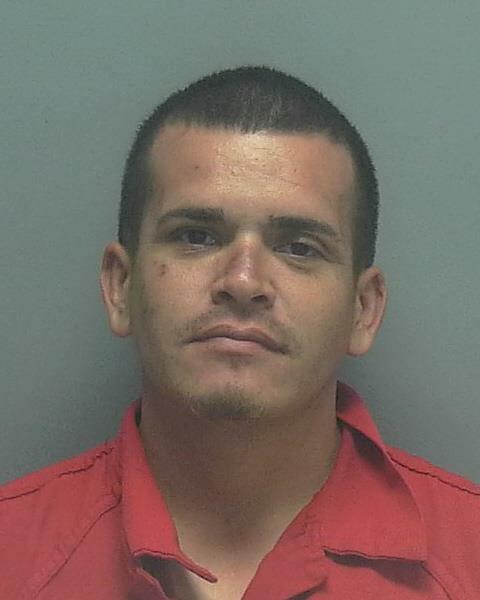 ARRESTED: Joseph Samuel Gallegos, W/M, DOB: 12-3-84, of 30 NE 24th Terrace,Cape Coral FL. Gallegos was obstructing traffic with his vehicle at the intersection of Pine Island Road and Santa Barbara Boulevard nearly resulting in a traffic crash when an officer observed the violation. During the traffic stop, a CCPD K9 officer along with his K9 had a positive alert on an open air sniff which resulted in the discovery of 13.4 grams of cannabis oil. Gallegos was transported to the Lee County Jail. Cole Faulkner David, W/M, DOB: 3-14-95, of 406 SE 8th Street, Cape Coral FL. David was speeding at the 3000 block of Del Prado Boulevard South when an officer observed the violation resulting in the traffic stop. During the traffic stop, a K9 officer along with his K9 had a positive alert on an open air sniff which resulted in the discovery of .3 grams of marijuana and a marijuana pipe. David was released from the scene with a Notice to Appear (NTA).